Food Preparation: Could You Be Eating These Foods Wrong? Yes, eating healthy means choosing the right foods, but that's only part of it. For example, the skin of many fruits and veggies (or just under it) is where a lot of the vitamins and minerals are, so when you peel it off, you're missing out. Find out what you can do to get the most nutritional value out of what you put in your mouth. Steam it. That's the best cooking method if you want to get the most bang per bite. Boiling, microwaving, and stir-frying all break down more vitamin C, chlorophyll, proteins, and other nutrients. And the shorter the cooking time, the more nutrients you save. To add flavor, dress up steamed broccoli with a little olive oil, sea salt, and lemon juice. 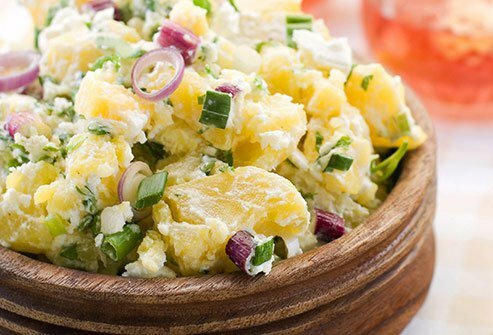 When cooled to room temperature or chilled in potato salad, they'll have more "resistant starches," which take longer to digest. These help keep your gut healthy and may lower your chances of obesity, colon cancer, and diabetes. Bottled water is fine for staying hydrated, but it probably doesn't have enough of one important ingredient to keep teeth strong and help prevent tooth decay: fluoride. The stuff from your tap usually does. 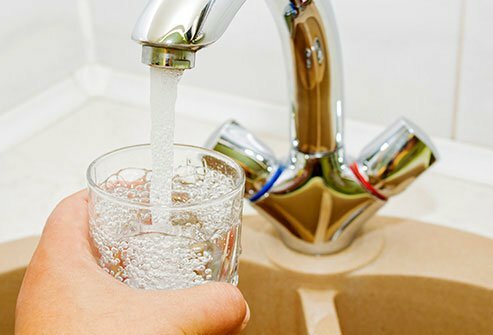 Almost all dental and public health organizations support adding the mineral to public drinking water. The CDC calls it a top-10 achievement for public health in the 20th century. 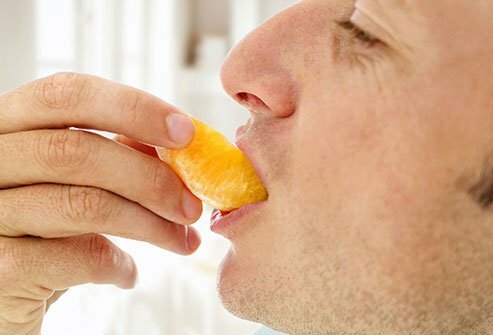 Better to chew your fruit and drink water when you're thirsty, especially if you're already overweight or have diabetes. Even 100% pure juice loses nutrition when it's processed. Juice also doesn't have the fiber that gives you a feeling of fullness and slows the absorption of sugar into your system. Regular sugar spikes from fruit juice can lead to health problems like diabetes, obesity, and liver damage. You don't want to cook them twice. 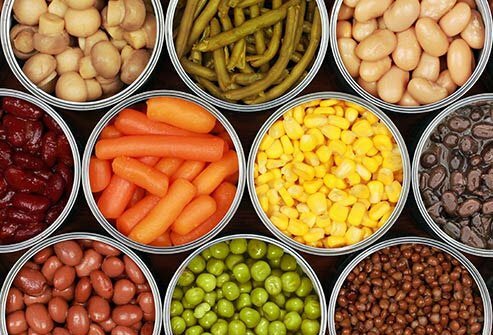 Canning is a surprisingly good way to keep the nutrition and freshness in your veggies, but they do get cooked in the process. So after you take them out, you only need to heat them long enough to warm up again. Longer than that can damage flavor, texture, and nutrients. It's a great source of protein, omega-3 fatty acids, vitamin B12, niacin, zinc, and iron. The problem is that it can also be loaded with saturated fat, which should only make up a small part of your diet. Choose lean cuts, and trim all the fat you can see off your meat before you cook it. Along with the caffeine boost you get, its antioxidants help protect your cells. 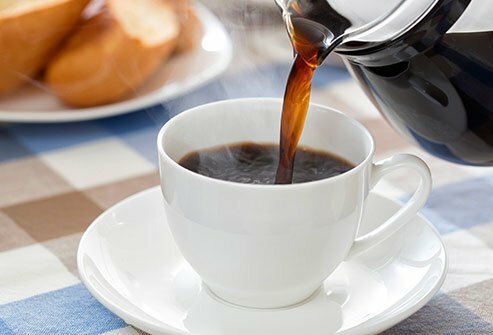 It can be a low-calorie choice instead of sugar-sweetened soft drinks -- but only if you avoid the syrup, sugar, and cream added to some coffees. Stick with the basic brew, and pass on the "double-caramel-frappe-mocha-latte-chino" served in a bucket-sized cup. 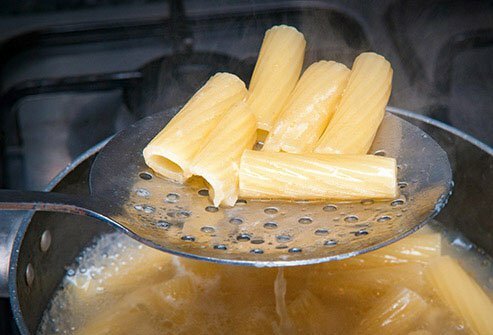 Overcooked pasta gets mushy and has a higher glycemic index (GI), which means your body absorbs the carbs faster. Slightly springy "al dente" pasta tastes better and is better for you. Drain it soon after it loses the outer crunch, even if there's still a trace of darker yellow inside. The type of pasta will affect its cook time. Start testing for doneness before the earliest time recommended on the package. The powerful antioxidant lycopene found in tomatoes helps protect against cancer, heart disease, stroke, and other problems. 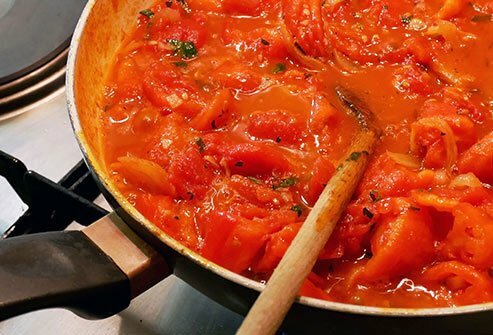 And it's easier to get from cooked (think canned tomatoes and long-simmered sauces) rather than raw fruits. However you eat them, add a little olive oil: The fat helps your body absorb the phytonutrient. 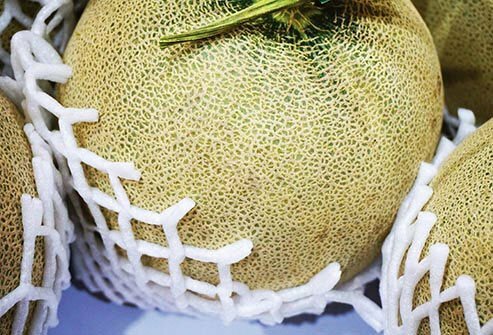 Even though you aren't going to eat the rind of this melon, you should give it a good scrub with a produce brush before you slice into it. You want to get rid of dirt and bacteria that could be trapped in the rough skin, so you don't spread germs onto the flesh as you cut. Unlike other fruits, there's not enough natural acid to kill them off. Keep whole cantaloupe as well as the pieces in the fridge. The idea that it can help protect your health appears to be true -- in moderation. More than a drink a day for women, two for men, sends the effects in the other direction, though. Heavy drinking can damage the liver and heart, harm an unborn child, and make you more likely to get some kinds of cancer. 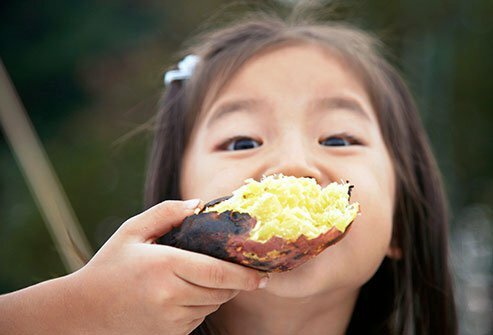 Advances in Nutrition: "Resistant starch: promise for improving human health," "White Potatoes, Human Health, and Dietary Guidance." American Diabetes Association: "Glycemic Index and Diabetes." American Journal of Public Health: "Reducing Childhood Obesity by Eliminating 100% Fruit Juice." Asia Pacific Journal of Clinical Nutrition: "Lean meat and heart health." CDC: "Community Water Fluoridation," "Alcohol and Public Health: Frequently Asked Questions." Cellular Physiology and Biochemistry: "Resistant Starch Regulates Gut Microbiota: Structure, Biochemistry and Cell Signalling." 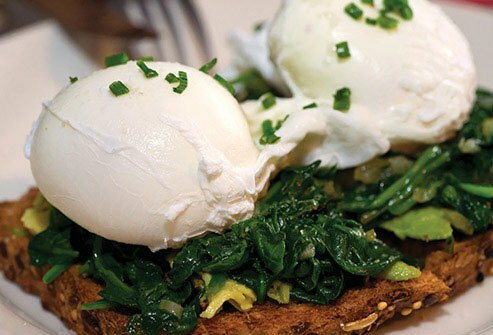 Cleveland Clinic: "What You Need to Know About Protein," "Recipe: Poached Eggs with Spinach and Red Pepper Pesto." EatRight.org: "How to Get the Most Flavor and Nutrients." 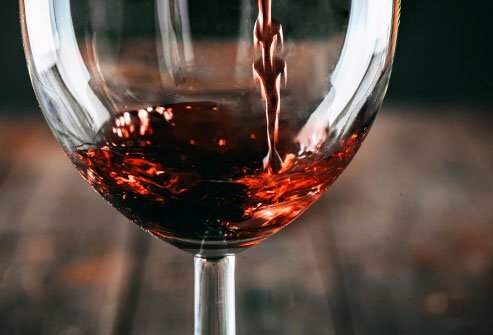 Frontiers in Bioscience: "Health benefits of wine and alcohol from neuroprotection to heart health." 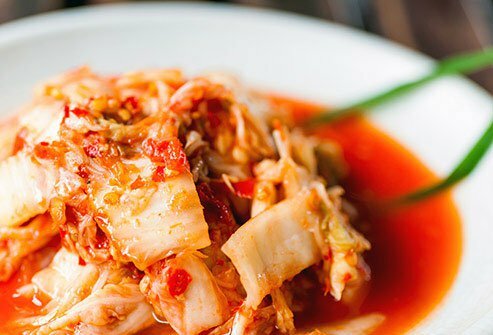 Frontiers in Microbiology: "Functional Properties of Microorganisms in Fermented Foods." Harvard Health Publishing: "Eggs and your health," "Glycemic index and glycemic load for 100+ foods." Harvard T.H. Chan School of Public Health: "Carbohydrates and Blood Sugar," "Fats and Cholesterol," "Other Healthy Beverage Options," "Alcohol: Balancing Risks and Benefits." 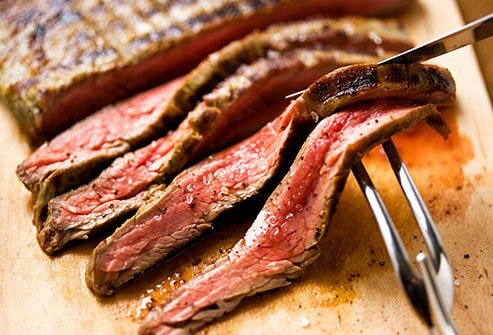 Heart Insight: "How Meat-eaters Can Reduce Saturated Fat in Their Diet." International Journal of Angiology: "Polyphenols are medicine: Is it time to prescribe red wine for our patients?" 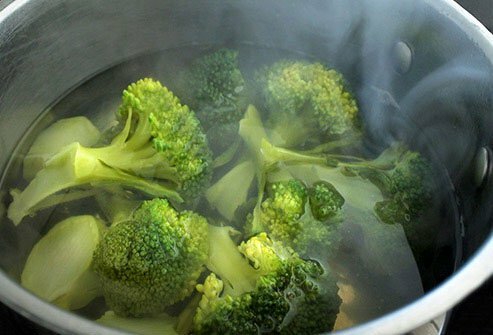 Journal of Zhejiang University: "Effects of different cooking methods on health-promoting compounds of broccoli." Mayo Clinic: "Is tap water as safe as bottled water?" National Foundation for Cancer Research: "Tasty Tomatoes: Anti-Cancer Attributes & A Healthy Recipe." University of Wisconsin-Madison Extension, Food Safety & Health: "Safety of Cantaloupe." USDA National Nutrient Database: "Basic Report: 01129, Egg, whole, cooked, hard-boiled."